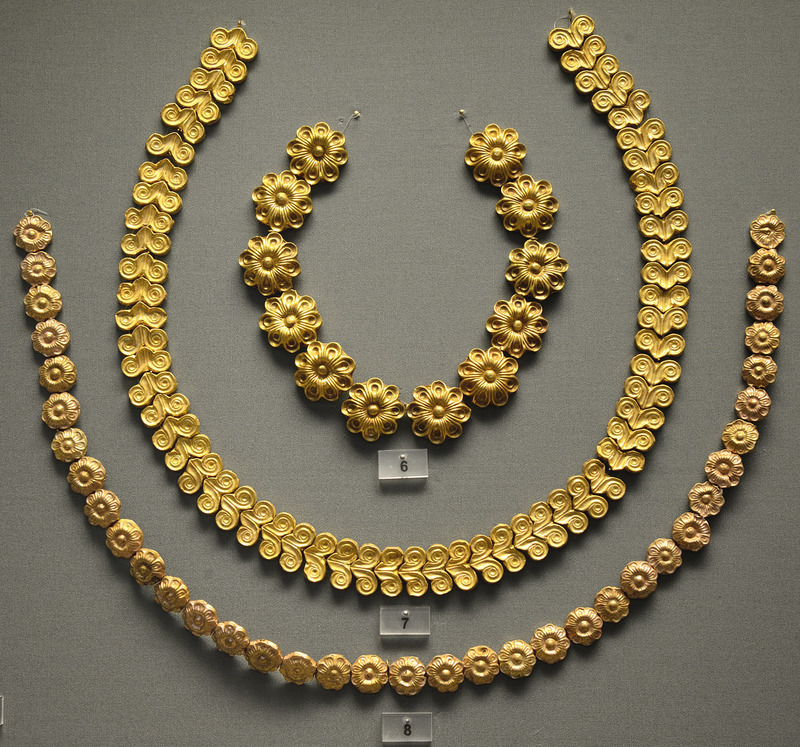 Gold necklaces from chamber tombs in Mycenae. 6-8. Necklaces with beads in the shape of rosettes and lilies. Christa Falconer. AN EXAMINATION OF THE FUNERARY OFFERINGS PLACED IN MYCENAEAN CHAMBER TOMBS DURING THE PALATIAL AND POSTPALATIAL PERIODS IN THE AEGEAN. Peterborough, Ontario, Canada, 2014.